Tristine Rainer will be giving the keynote talk at the 805 Writers’ Conference Saturday, May 19 from 10 AM to noon. She will speak on memoir writing and her own ups and downs of writing and publishing Apprenticed to Venus in 2017. You can sign up for Tristine’s keynote (above) May 19, 10 AM-12PM, as an individual event. You can also enroll for the day or for the whole two day conference. 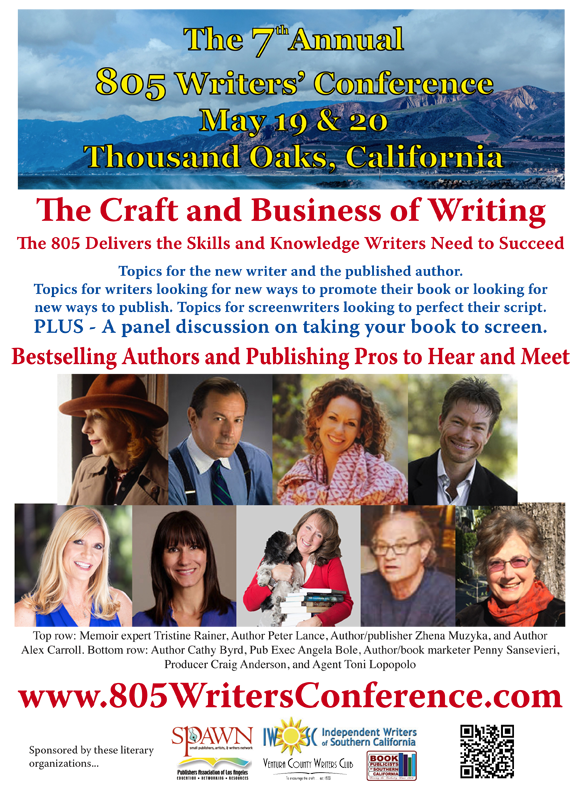 Go to http://805WritersConference.com for more information or to register.